A quick view of the most influential metrics in Santa Monica. Santa Monica is a beachfront city in western Los Angeles County, California, United States. Situated on Santa Monica Bay, it is bordered on three sides by the city of Los Angeles – Pacific Palisades to the north, Brentwood on the northeast, West Los Angeles on the east, Mar Vista on the southeast, and Venice on the south. The Santa Monica Looff Hippodrome (carousel) is a National Historic Landmark. It sits on the Santa Monica Pier, which was built in 1909. The Santa Monica Civic Auditorium was an important music venue for several decades and hosted the Academy Awards in the 1960s. Santa Monica has three main shopping districts, Montana Avenue on the north side, the Downtown District in the city's core, and Main Street on the south end. Each has its own unique feel and personality. View our selection of available properties in the Santa Monica area. Check out the latest demographic information available for Santa Monica. Learn more about schools near Santa Monica complete with ratings and contact information. 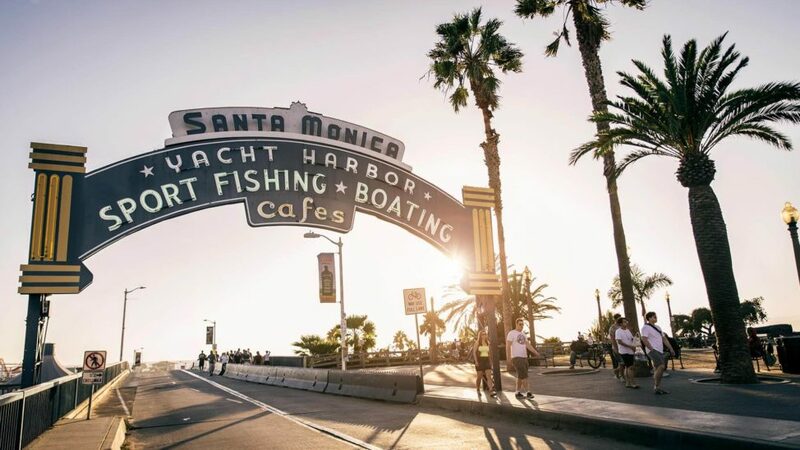 Browse through the top rated businesses in the most popular categories Santa Monica has to offer.